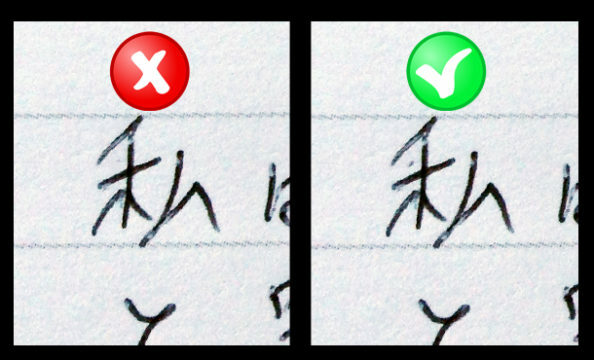 A student of the Japanese language has penned a kanji in the wrong stroke order causing the word to be completely unrecognizable. Gavin Peterson started the ‘watashi’ (‘I’) kanji with the left-side central stroke instead of the correct top left diagonal stroke. “I literally have no idea what this set of strokes mean,” said Mr. Ryota Takada. Peterson being an ordinary layperson in the field of Japanese language, or ‘nihongo’, didn’t have the wherewithal or inner warrior spirit to distinguish the error of his ways. Mr. Takada was eventually able to decipher the kanji as ‘watashi’ through recognition of subtleties in the sentence structure and context, as well as years of Japanese language immersion since birth. “Does not compute” said Mr. Takada. lol, been getting the stroke order wrong for years now. Bless whoever invented the word processor. What is the difference between the 私s on left and right?? They are exactly the same to me (native Japanese). The stroke order is completely wrong! Can you tell? Ha! Call yourself an expert! 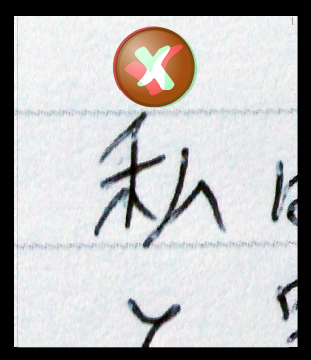 The one in the right says 私 and the one on the left is indecipherable. But if you can’t read kanji below 4th Dan, then I see why you think they are the same…. I betcha Gavin Peterson signs his name incorrectly, too. I sometimes paint Kanji with watercolor or other real paint.. Then you understand why strokes come in a particular order, painting them helps me memorize the order and understand the logic behind it. Deliver from us this fowl evil that fouls the human gene pool. Don’t agree with eugenics but I get where it came from…..